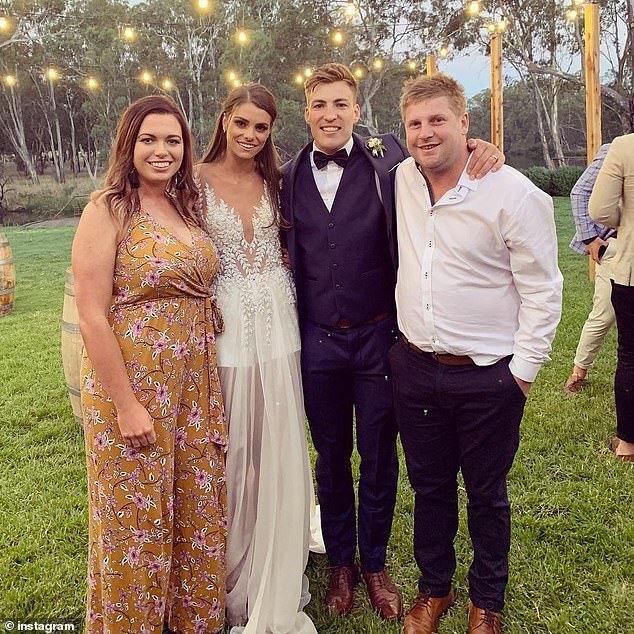 Melbourne Football Club star Jack Viney married high school sweetheart Charlotte Ennels in a stunning outdoor ceremony last Saturday. The couple tied the knot at the Mitchelton Winery by the Goulburn River surrounded by natural Australian bushland. 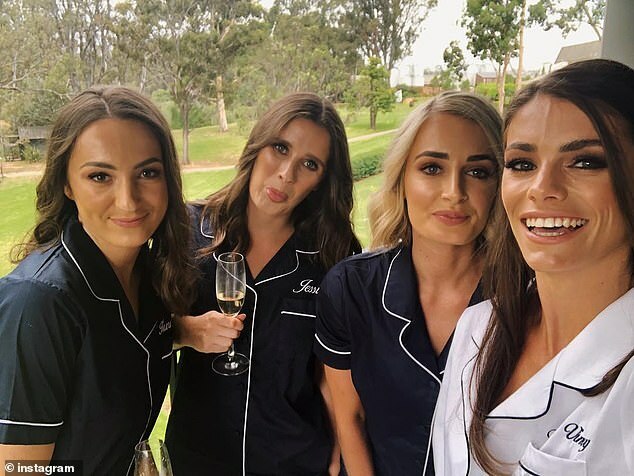 Charlotte wore two different outfits for the wedding, first walking down the aisle in a bespoke Oglia-Loro Couture dress made from Italian silk faille. The backless gown was hand beaded and featured thousands of Swarovski crystals and embroidered floral stems. She changed into a second ensemble for the reception, which was also made by Oglia-Loro Couture. The designer number featured high-waisted cream shorts and a glamorous bodice with a silk train. Meanwhile, Demons star Jack looked dapper in a tailored suit from Menzclub. 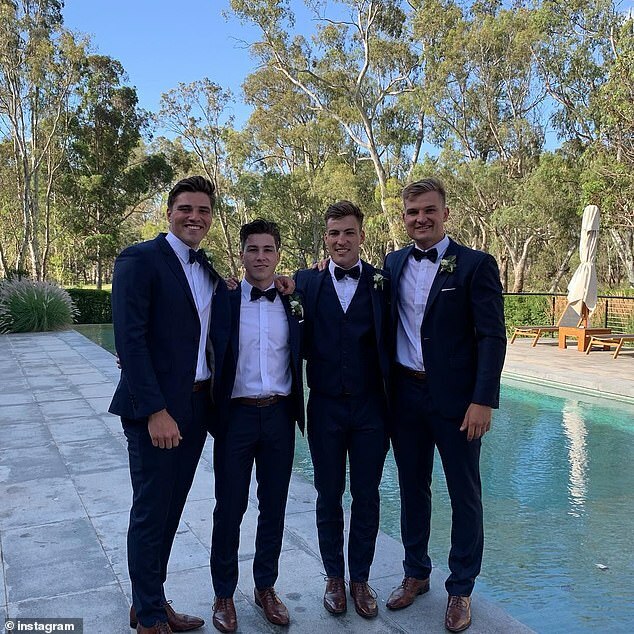 According to the Herald Sun, Jack’s groomsmen included Port Adelaide player Oliver Wines and his brothers, Max and Harry Viney. Jack and Charlotte have become one of the AFL’s most glamorous couples in recent years. Charlotte is already a rising star on the social scene, with the model’s management company calling her a ‘viral sensation’ and the ‘next big thing’ in a gushing profile. ‘Girl next door meets red carpet knockout, Charlotte has dynamite mass appeal,’ reads her profile on LMB Management. Her profile continues: ‘With legs for days, a smile that lights up the room and a background in fashion and digital Charlotte is the epitome of a modern muse.